Bear in mind for absorption costing, you include the unit rate for fixed overheads. 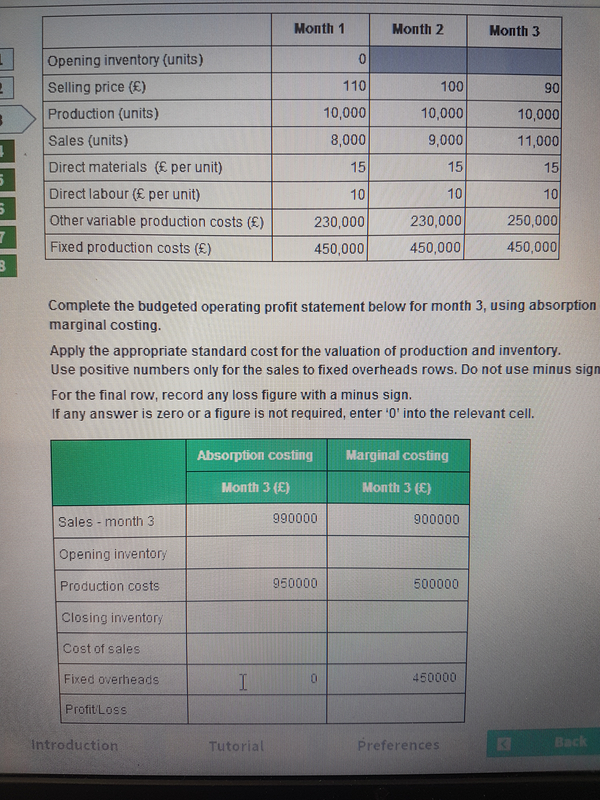 So you have the two direct costs for materials and labour (15 and 10 per unit respectively) then divide variable costs and fixed costs per production volume. So 15+10+(230,000/10000)+(450000/10000). That should give you 93 multiplied by your opening inventory of 3000 gives you 279,000. For marginal, the only difference is you leave out the fixed cost per unit so 15+10+23=48 multipled by 3000 to give you 144,000.